Dental offices across the United States have a little-known secret. 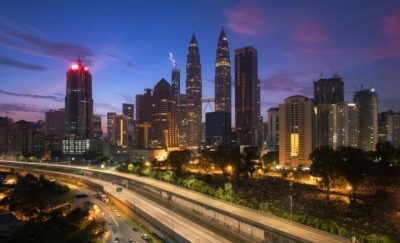 It is a situation that is almost unique for an industry staffed almost exclusively by highly trained and certified personnel. The secret? The industry has a 330% turnover rate. 50% of dental workers are part time. Without hardly any money being spent, we have had great success with revenue growth over 620%. Now it is just a matter of scaling it. That’s comparable to the fast food industry and the lower end of big box retailing. Yet, dental hygienists and assistants make reasonable income. The high turnover is the result of workers who prefer flex-time and the way work is scheduled in dental offices, rather than dissatisfaction. Yet, it presents a real challenge for dentists trying to run their offices efficiently. Many dentists report spending several hours a week just staffing their offices. And most have had to cancel booked appointments when staff were simply unavailable. Cloud Dentistry offers a solution, that has been very successful in Houston and Dallas/Fort Worth. It is a booking website built for the dental industry. Staff looking for work post their resumes, and dentists can search through available resumes or post a position. 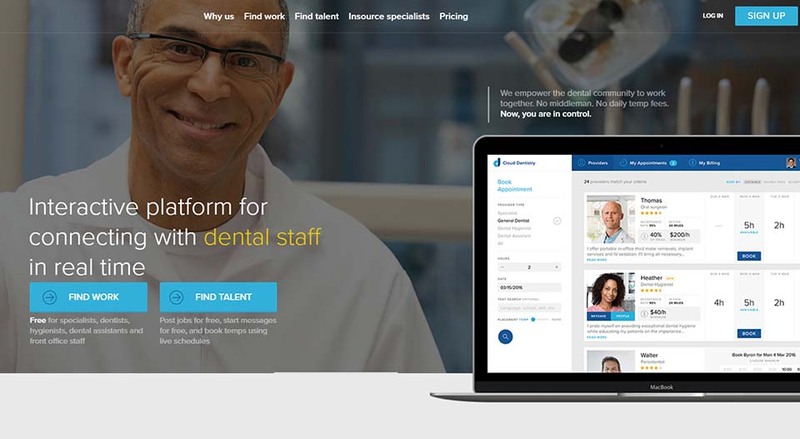 Cloud Dentistry makes it easy and efficient to find and hire staff, in one easy to use platform. 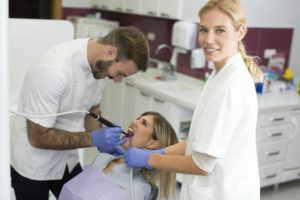 Dental Technicians and Assistants looking for work can post the hours they are available, where they are willing to work, and what they expect for wages. The system matches them with dentists who have compatible needs. It is a win-win for both parties and has been extremely popular. Trey Tepichin, Founder of Cloud Dentistry, explains, “Before this, you had to use Craigslist or use an expensive temp service. You keep getting introduced to people, but you can’t hire them. And that is 15% on top of the annual salary. And you can’t get out of the cycle. 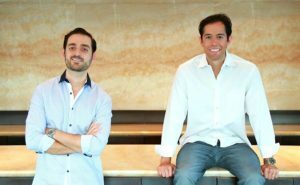 Trey went to work with his fellow co-founder Dr. Reza Sanjar, who is a practicing dentist, to sort through all of the social media and professional websites out there, and to choose the best options and functions to incorporate into their own site. They both felt that it was important that the site be easy to use, and that it save time. Hiring had to be just a few clicks, instead of several phone calls spread throughout the day. To ensure quality of the hire, the website has a ratings system, so that both dentists and dental workers can be confident in the skills and professionalism of the counter party. Dentists also wanted to reduce the transaction costs. Typically, temp agencies charge 15% on top of the salary, and that adds up over time. Cloud Dentistry allows dental workers to sign up for free, and the practices have a low monthly cost of less than one-hundred dollars, with the ability to hire as many workers as they like without incurring any extra fees. “We launched the platform June of 2016,” said Trey. “So far we are spreading by word of mouth. There are two sides to the platform, because you need both groups on the platform at the same time. We do reach out to the schools, and the students love it, because they have a way to get out there and work.